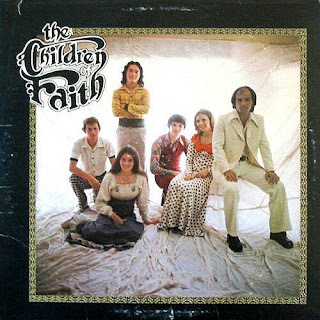 Children Of Faith (C of F LS-215) 1975? This is in The Archivist by Ken Scott, 4th Edition and the review can be found on page 42. I love the creative writing of the band name on the cover. No doubt, I have been coming to this site for quite a few years now, and am stunned at the continual flow of Jesus Music. This has got to have been the most creative phase in the history of Christian music, a world wide flood of the wonderful spirit of our Father.